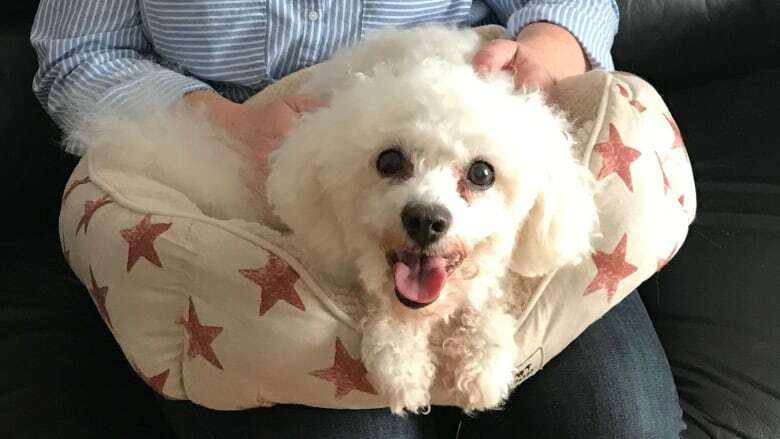 When Susan Sinnicks saw Pebbles the Bichon Frise hanging from the mouth of a red fox outside her home, she took off barefoot through the snow to save her dog. It was 7:30 Monday morning when Susan Sinnicks' two dogs started barking outside her house in Plum Point. She was watching them through the window, and the bigger of the two — Bronson, a border collie — came and stood by the door. Pebbles, her little Bichon Frise, didn't. Then, Sinnicks saw a red fox running around two vehicles in the driveway, with Pebbles hanging from its mouth. "I just took off through the door in my bare feet running up to the fox," she said. At first, the fox wouldn't let go, Sinnicks said, but "I was screamin' and yelling, the next door neighbours heard me." The fox finally dropped Pebbles and took off across the lawn, with Bronson in close pursuit. Pebbles was covered in blood. "I didn't think she was gonna live," said Sinnicks. 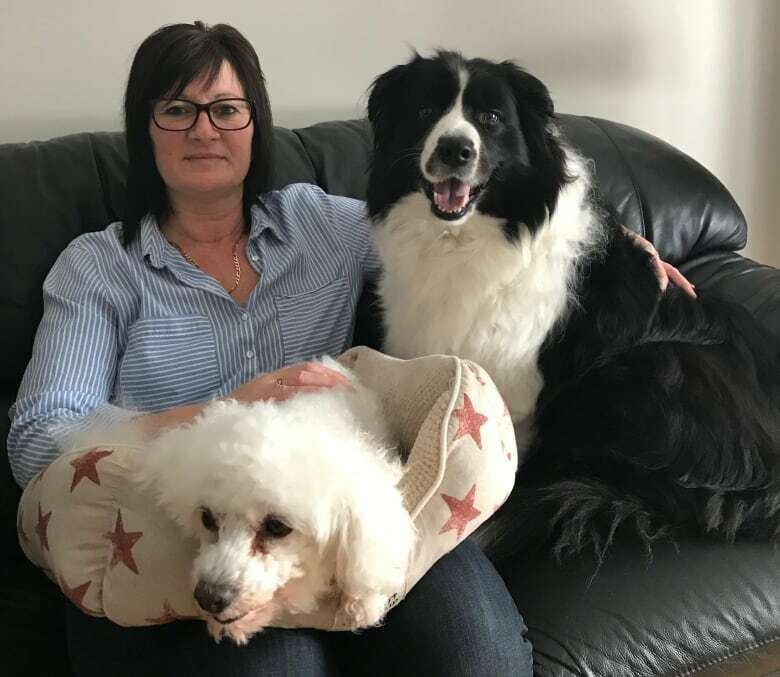 She and her son managed to get both dogs, as well as one of their cats inside, before the fox returned. When it did, Sinnicks said, it didn't seem afraid. The fox came up to the door, and when her son tried to scare it away, it sat on the lawn and wouldn't move. Sinnicks' cats and dogs have since received rabies shots, and she said she plans to get one herself, after running barefoot through blood. 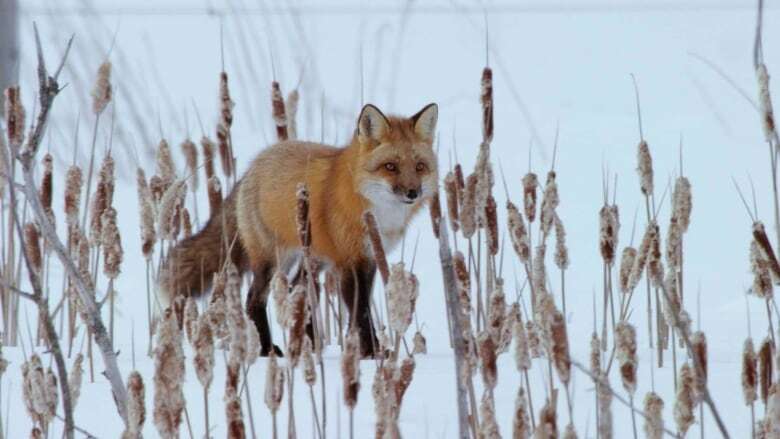 Officials have not yet said whether they suspect the fox was infected with the virus. Meanwhile, Pebbles is recovering, and is getting by on a diet of water and Vienna sausages. "She was six to eight hours before she started moving," said Sinnicks. "I had her under quarantine. So later that evening she was moving her head a little bit and I said 'perhaps she'd have something to eat.'" It was a red fox, like the one pictured, that attacked Pebbles. The attack prompted an RCMP warning to pet owners to keep their animals inside, and be careful when they're outside. The Department of Fisheries and Land Resources wants people to make sure their pets are vaccinated for rabies. Sinnicks said she has also put live traps by her door. "I'm devastated with it," she said. "Because now this morning when I got up I went outside, and I'm nervous myself over that fox, like he came right up to us, so he's not to be trusted."